Now available at Amazon and booksellers everywhere. For 25 copies or more, place bulk orders here. WTF? can be an expression of amazement or an expression of dismay. In today’s economy, we have far too much dismay along with our amazement, and technology bears some of the blame. In WTF? What’s the Future and Why It’s Up to Us (Harper Business, October 2017), I share some of the techniques we’ve used at O’Reilly Media to make sense of and predict past innovation waves such as the commercialization of the internet, open source software, the internet as a platform, big data, open government, and the maker movement. I apply those same techniques to provide a framework for thinking about how today’s world—spanning platforms and networks, on-demand services, and artificial intelligence are changing the nature of business, education, government, financial markets, and the economy as a whole. I give tools for understanding how all the parts of modern digital businesses work together to create marketplace advantage and customer value, and why ultimately, they cannot succeed unless their ecosystem succeeds along with them. The core of the call to action is an exhortation to businesses to DO MORE with technology rather than just using it to cut costs and enrich their shareholders. Robots are going to take our jobs, they say. I say, “Only if that’s what we ask them to do!” I’ve had my fill of technological determinism. Technology is the solution to human problems, and we won’t run out of work till we run out of problems. Entrepreneurs need to set their sights on how we can use big data, sensors, and AI to create amazing human experiences and the economy of the future, making us all richer in the same way the tools of the first industrial revolution did. Yes, technology can eliminate labor and make things cheaper, but at its best, we use it to do things that were previously unimaginable! What is our poverty of imagination? What are the entrepreneurial leaps that will allow us to use the technology of today to build a better future, not just a more efficient one? What’s the future? It’s up to us. 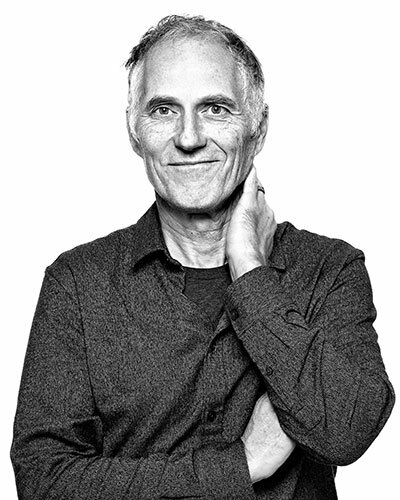 “No one is better at understanding the future than Tim O’Reilly. He has an intuitive feel and an deep knowledge of technology. This book makes sense of the astonishing transformations that are happening around us and is an indispensable guidebook to tomorrow. “Since I first saw Tim O’Reilly speak at a conference many years ago, I’ve always felt he had a good grasp of what's happening not only in open source but also in the broader space of digital technology. O’Reilly possesses the great ability to read the tea leaves, to make connections, and (based on those observations), to ‘predict’ potential outcomes. In the book, he calls this map making. 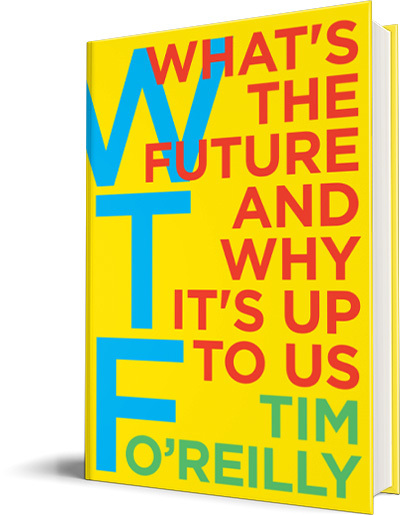 “I’ve just finished reading Tim O’Reilly’s WTF? What’s the Future and Why It’s Up to Us. In the current anti-tech atmosphere, some may deride the publication as a self-serving effort by a Silicon Valley guru. My view is precisely the opposite: this is a book that is both insightful and unprecedented in its scope, ambition, and potential impact. “It’s always been our view at The Family that tech entrepreneurs cannot succeed if institutions around them don’t change at the appropriate pace. But so far there have been very few Silicon Valley insiders willing to step out of their comfort zone and tackle the tough challenges of technology colliding with policy, governance, and institutional innovation.